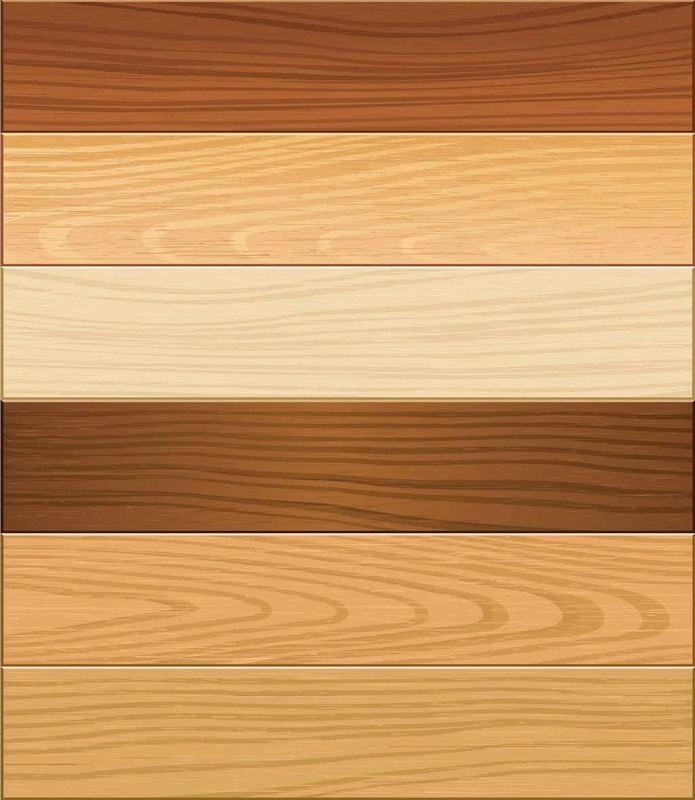 If you are trying to decide on a hardwood flooring that would be best for you, then I bet you have likely learned how many different hardwood floor colors there are. How can there be so many colors of wood? While the choices may seem daunting, it’s important to recognize the best options. Sure, there may be a lot of different options, but you want to choose a color that gives off the best impression possible, while also being a color you can enjoy. 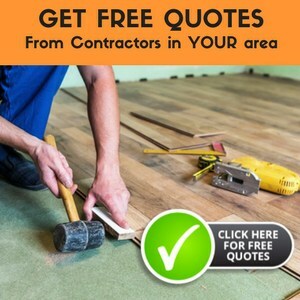 Thus, I will show you some of the top choices in hardwood floor colors, so that you have a better idea of what is most commonly used in homes. It’s probably no surprise that brown would be one of the most popular choices when it comes to hardwood floor colors. The great thing about choosing brown for your hardwood is the options. Brown isn’t simply brown. There are hundreds of subtly different browns to choose from. It might seem a bit overwhelming, but the beauty of brown is that it goes with anything. Any room, any style, any year, brown is always a safe choice. Another appeal of brown is the appeal to home buyers. 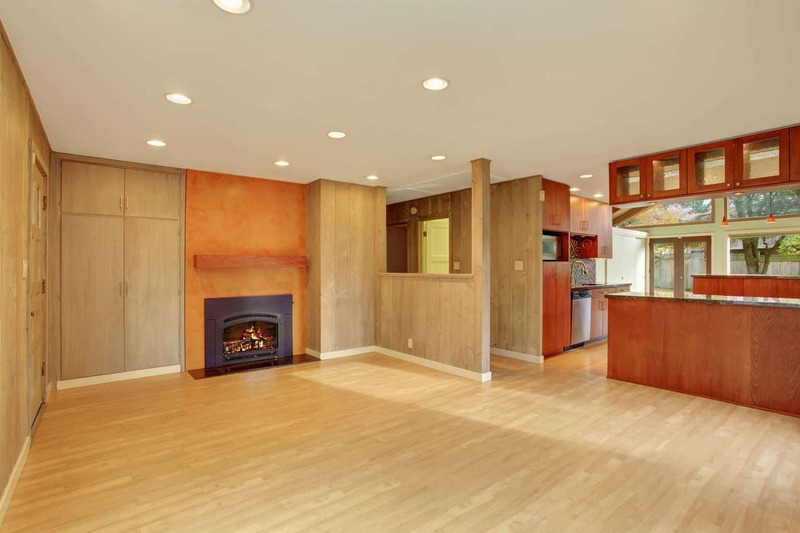 If you think there is any chance you will sell your house, choosing a hardwood floor color like brown will be more marketable to a wider range of people who might be interested in buying your home. Similar to the darker colors, light hardwood floors tend to be quite versatile. There are many different shades of light floors that range anywhere from rosy pinkish to ochre base. This look has grown incredibly popular in recent years because of IKEA. The look can be called a “Scandinavian Modern” type of look. Having light floors pairs well with a minimalist home. The best way to keep this color of floor in your home successful is to have wood furniture as well that matches the floor exactly. 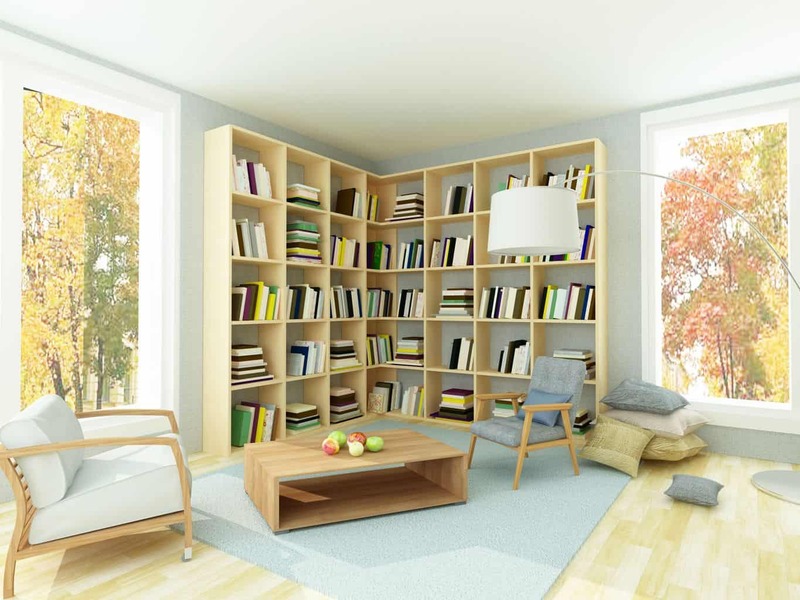 The only thing you should be careful of is having too many soft, neutral colors, so try to add some quirky fun accessories to ensure that your living space has some life. Yes, I know wood isn’t gray, but by using and mixing certain wood stains, you can create a gray color that is growing in popularity. This is most popular among customers who want a more modern and fashion forward living concept. While this type of hardwood floor color is a bit more expensive, its popularity continues to grow. Gray tends to bring out the grain in the wood which makes it bold and textured. Gray floors work best when you add bright, statement pieces that have a strong accent. 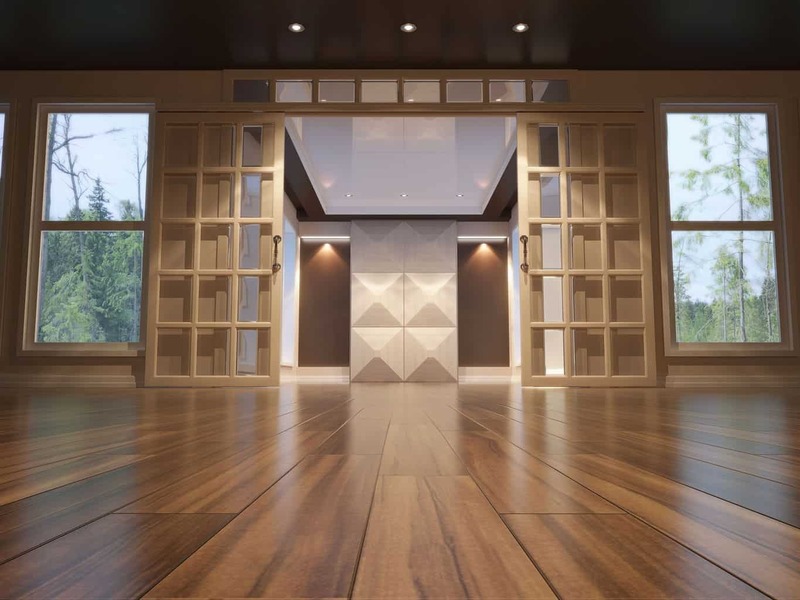 This may seem surprising as it isn’t seen widely yet, but black is making a movement in the world of hardwood floor colors. The more you think about it, the more it makes sense. Black hardwood floors make a statement and they are currently making some serious waves in the world of interior design. Choosing black floors is supposed to be a grown up choice as it is dramatic, stylish, and elegant all in one. Black floor won’t be for everyone, but for the homeowner who wants to make a bold statement, this is the color to choose. Another, more classic, option is a yellowish/tan color. Of course, when I say yellow, I don’t mean bright, sunshine yellow. It’s more along the lines of honey or butterscotch. It’s a warm and inviting color. This color is great for a room with a comfy and cozy vibe. It also tends to look a bit aged so it pairs well with leather furniture, quilts, mohair rugs, etc. This is a great and natural color choice for a family home. Choosing the right hardwood floor color may seem to be incredibly hard, but with the right amount of thought, it doesn’t have to be. 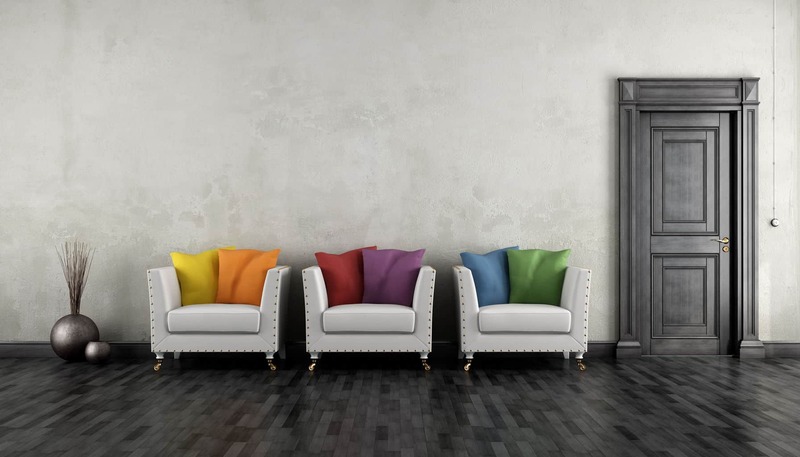 When it comes to choosing color, you need to look at what it is you want in a room. 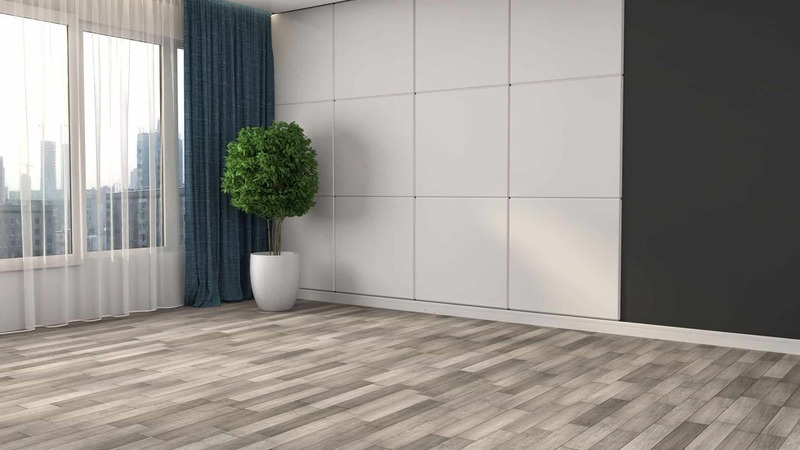 If you’re looking for something more modern you will likely enjoy a floor that has subtle, or not so subtle, gray in its colors. Rooms that you want to make a statement might do well with a black floor. However, if you are more traditional and just want a nice floor for you and your family, you might be safer sticking with the more natural shades of wood, like light and dark browns.